Caroline (more often known as Katy) is the principal. Katy trained in dance since the age of 2. 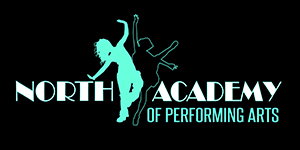 Starting at Kendrick Academy of theatre arts she continued her training at Stacey School of Dance and moved on to Karen Murillo School of Dance to obtain Professional Qualifications. Katy has taken part in many dance, drama and musical theatre productions over the years, often choreographing many routines as well as appearing in the shows. Katy attended Rotherham College of Arts and Technology (RCAT) where she studied a National Diploma in gaining a distinction. 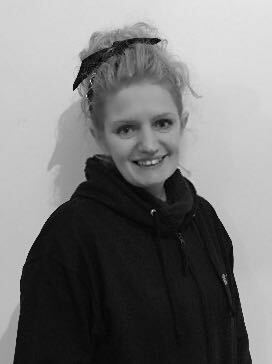 Katy has over 14 years of experience teaching dance and drama to a wide variety of ages and is still taking professional examinations in dance in order to continue her professional development. On a personal level, Katy has been married to Mark, who she describes as her ‘rock’, for over 18 years and together they have 2 daughters, Alahna & Neveah, who have inherited Katy’s Passion for Performing Arts. Katy is also a Registered Nurse working at a local hospital. Opening this school is a lifelong dream for me. It gives me the opportunity to pass on my knowledge, experience and love of the art to all who want to learn. Helen started her dance career at the age of 2 at the Nellie Stagles School of Dance. At the age of 10 Helens family moved areas and she continued her training to a professional level at the Michelle Dyminiuk School of Dance. Helen has performed in many productions and worked in professional productions in Newcastle, Doncaster and Jersey. Supported by her husband of 9 years, Glyn, Helen continues to undertake professional examinations in Dance as she enjoys extending her knowledge and passing it on to others. Helen has 2 sons and a daughter who has inherited Helens love of dance. Helen is also a Registered Nurse and Midwife. Ballet, Tap, Theatre Craft and Modern Jazz are the basis of dance, to be able to pass on my knowledge and passion in all of these styles is a gift.